Coffee at Luke's: A Gilmore Girls Podcast is what happens when two sisters move to opposite coasts and revisit important bonding moments together. They laugh, they cry (from the laughing), and they mock Dean's awful haircut. In their return to Star's Hollow, Lauren and Katherine reminisce about their favorite characters, stuff that makes no sense at all, the fashion, the music, and all things Michele. We do this because we just can't let Gilmore Girls go, and we know that you have been holding onto that box set just as tightly as we are. 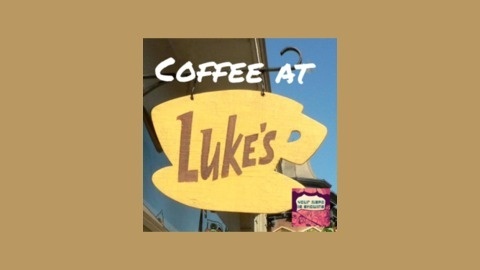 Follow Coffee at Luke's on Twitter @Coffee_at_Lukes and Like on Facebook. 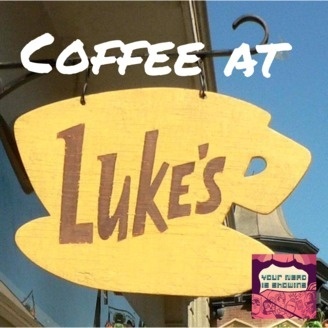 Follow the show on twitter @coffee_at_lukes, email the show at coffeeatlukespodcast@gmail.com, and like our facebook page.